Highlight: Taman Ayun, Traditional village Baha, Pacung, Wanagiri (Monkey Forest), Munduk Golden Valley, Lake Beratan. Included: AC Coach, Petrol, Entrance Fee, Drive Guide. Taman Ayun Temple is a Royal Temple of Mengwi Empire and it is located in Mengwi Village, Mengwi sub district, Badung regency and about 18 Km north side of Denpasar town. It is strategically located beside of major roadway between Denpasar to Singaraja. It is set on the land which is surrounded by the big fish pond and look like a drift on the water. It owns the beautiful temple building with multistoried roof and Balinese Architecture. The wide beautiful landscape garden in front courtyard to welcome all visitors who come and visit this temple. It is a beautiful place to visit on your vacation in Bali. Baha, Mengwi, Badung regency, Bali about 5 km between the Pura Taman Ayun and Sangeh. 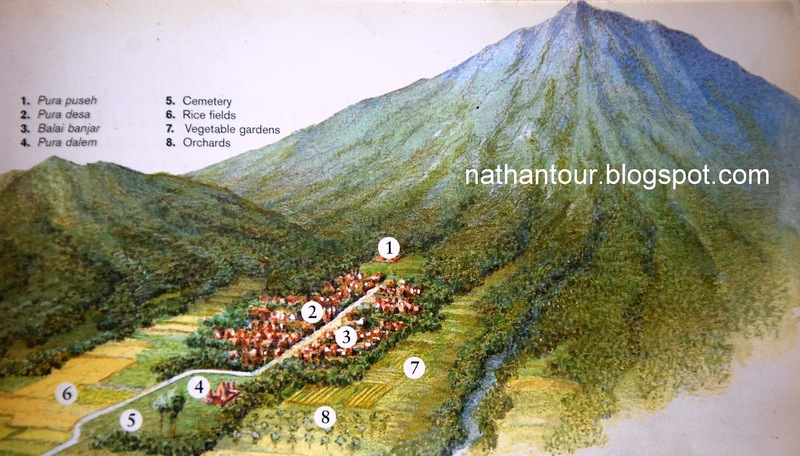 Baha Tourism Village in ancient times was one basis of the freedom fighters in Bali. Beginning in 1992 the village was declared a village with many attractions Tourism tourism potential. In addition to beautiful scenery and there there are also men and women who are beautiful. Baha villages also rich in craft activities such as carving, weaving, where Hinduism and other domestic industries. Community life and patterns of residential settlement in the village of Baha also still maintain traditional culture and architecture, seen in most of the entrance in people's homes (angkul-angkul) with typical Balinese and quite attractive as a tourist attraction to be seen by the tourists who came. Wanagiri village, District Sukasada, Buleleng, be referred to as the peak area of ​​the boundary between the South and North Bali Bali. As the tallest, Wanagiri surrounded by valleys, ravines and the cluster of hills, which also has a high tourism value. Imagine, from a place in Wanagiri, we can see two twin lakes, Buyan and Tamblingan, with calm waters to the south. If you looked around the other, it can be seen from the agro-tourism activities of truck farmers simple. If you look further into the northern stretch of the Sea of ​​Bali will show the stunning views. With this concept, tourists can enjoy an exciting tour packages, agriculture and the environment. The location is in the village of Munduk, nature tourism is very interesting for those of you who like to walk. This tour will visit pristine waterfall. From the parking lot, we walked along the path to the waterfall for about 20 minutes. Here we will pass a wooden bridge built over a waterfall. During a trip to the waterfall we memalui clove plantations, coffee, chocolate, and vanilla. The waterfall is not a lot of visitors, so it is a very attractive place for those of you who like adventure to places that are still natural. Ulun Danu Temple is a Balinese Hindu Temple located at Candi Kuning countryside, Baturiti sub district and Tabanan regency. The distance from Denpasar town is about 50 km north side the way from Denpasar to Singaraja. It is set at lakeside of Beratan with beautiful lake view and hills surround it. It is situated in the plateau area with cool atmosphere surround it and hills as a backdrop. We can find at north side of this temple is Pucak Sangkur mount, in the eastside there is Beratan Mount which also referred as Pucak Mangu or Pucak Pangelengan, in the south side there is Terate Bang Mount and in the Westside there is Tapak Mount and Watukaru Mount. The name of Ulun Danu Beratan Temple is taken from the lake where the temple is built at Beratan Lake. The name of Beratan Lake is inseparable with the Beratan Mount as Deity and Goddess as fertility source, prosperity to keep the prosperity in life and society life. In papyrus chronicle of the Mengwi, this temple is referred as the name of Parhyangan ri pinggiring danu Beratan (sanctum located in lakeside of Beratan Lake ). Ulun is come from Hulu word meaning head or power and in this case is intended by Ulun Danu Beratan means power of Beratan Lake that is Danu Goddess.